The general outlook for the business aircraft is optimistic, with caveats, particularly in the United States. This may be a surprise to readers used to dim and cautious forecasts, but Dallas Jet International (DJI) has just finished its best summer in 15 years of business. All indications show that improvement will continue. The horizon is not without a few clouds – the international market, which had looked more promising, has cooled off somewhat; and the market for smaller and older aircraft is oversupplied with a large number of unsold aircraft, forcing down prices for those aircraft types. 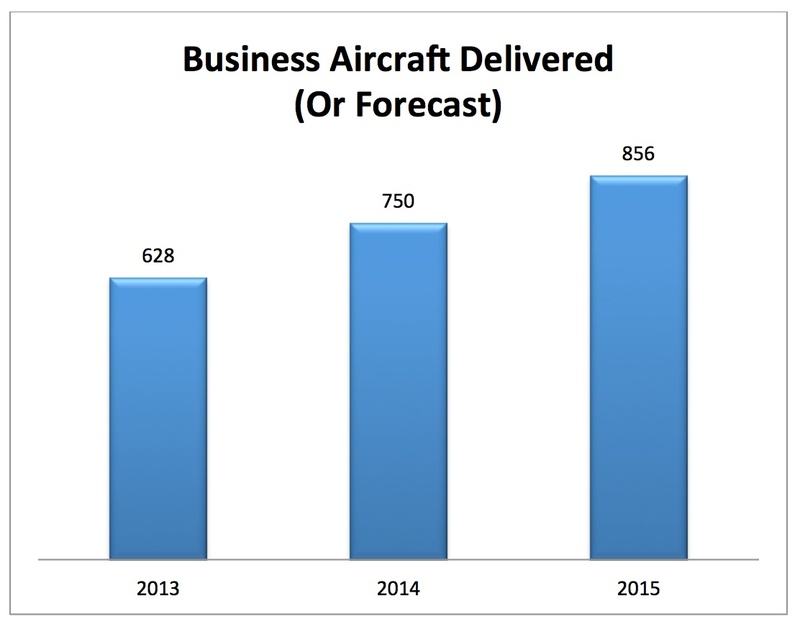 The good news about the business aircraft market in general is driven by the U.S. economy. Historically, the market for aircraft tends to trail the stock market by about six months. 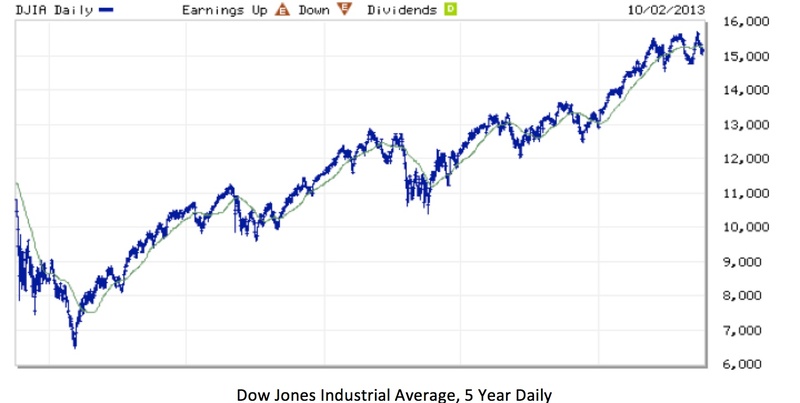 The stock market in the United States has been improving consistently over the past four and a half years. Despite the “bad press” that private aviation has received at the beginning of the recession, astute decision makers realize that business aircraft are an essential productivity tool. There is simply no substitute for the ability to be on-scene, making sales and taking care of customers. DJI relies on private aviation to be personally on-site for every test flight and inspection for our clients. Maintaining this high quality of service requires efficient transportation; and many professionals have found airline travel to be increasingly inconsistent and inconvenient. Major charter providers and corporate fleets tend to upgrade or purchase new aircraft every three or four years, on average. Since most have put off making major investments since the crash of 2008, these purchases are overdue. Flexjet, the corporate jet leasing company, plans to add up to 50 long-haul aircraft to its fleet in a potential $3.2 billion deal. Flexjet’s domestic business has grown since the Dow Jones industrial average first hit 15,000 in May, prompting corporations to open their wallets and spend more on luxury products. We see the domestic market kickstarting the variable worldwide market for business aircraft. The outlook is very good. We’re starting back on an up cycle. Aerospace and Defense Business Jet Monthly Report from J.P. Morgan shows an upward trend in aircraft deliveries and forecasts. As founder of Dallas Jet International, Mr. Harris has established an esteemed 23-year aviation career. He holds of Bachelor of Science Degree in Professional Aviation and Airway Science and and a Masters Degree in Industrial Organization Psychology from Louisiana Tech University. Mr. Harris entered the aviation industry in 1992 as a corporate pilot for a Fortune 500 corporation and soon started a successful aircraft leasing and renting company. In 1993, Mr. Harris began his aircraft sales career and became one of the most highly respected aircraft brokers in the world. In 2002, Dallas Jet International began offering aircraft sales, consulting, and brokerage services. Mr. Harris is a current airline transport pilot who is type-­rated in ten (10) different jet aircraft including the Gulfstream 550, 450, 350, GV, GIV, GIII, GII, Hawker, Falcon, Citation, Beechjet, Lockheed JetStar II, Diamond Jet and King Air 300 / 350. Mr. Harris parlays extensive hands-­on knowledge and experience into clear results for his clientele. His firm has set up flight departments, consisting of aircraft crewing, aircraft management, aircraft maintenance and aircraft operating budgets, for several clients. Mr. Harris also possesses significant entrepreneurial experience in real estate and commercial insurance. This knowledge, combined with unparalleled experience in all facets of corporate aviation, is the foundation of success for Dallas Jet International. He often speaks to groups of aviation professionals, publishes monthly blog articles and sits on the Advisory Board for GE Capital Corporate Aircraft and Finance, and CAE Simulflite. He currently sits on the board of Directors at NARA (National Aircraft Resale Association) as Chairman.